A report by the United Nations Environment Programme (UNEP), titled "The Adaptation Finance Gap Update Report 2016", finds that the cost of adaptation will increase over two to three times the current cost (US $140-300 billion) by 2030 and four to five times by 2050 in developing countries. Finance for agriculture, an important adaptation sector in the Intended Nationally Determined Contributions (INDCs) submitted by countries, is a key concern. At the recently concluded Bonn Climate Change Conference, Julie Anne-Richards from the Climate Justice Programme quoted the UNEP report to state that only $22.5 billion or roughly 10 per cent of future needs are available to developing countries. This amount includes loans at the full value of market rates, "making it a very generous estimation", she added. There is an urgent need to develop a roadmap for climate finance, especially with respect to adaptation. Currently, no decisions have been made on how the promised $100 billion will be generated and what channels will be made available to put it to use. Various mechanisms such as loans, grants through the Green Climate Fund, Least Developed Countries Fund and bilateral and multilateral treaties could be adopted, but nothing has been decided. Agriculture assumes importance with India's Marathwada region battling its fourth rain deficit year in five years. 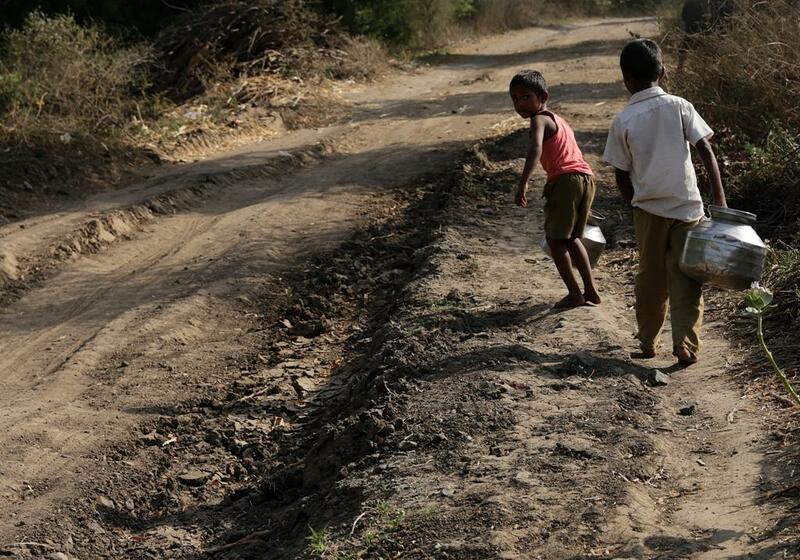 Over 60 per cent of villages in Maharashtra are hit by the drought. Six hundred villages in 137 of the 164 taluks of Karnataka are facing a severe drinking water crisis owing to its worst drought since 1972. More than 300 million people living in 256 districts of the country are affected by drought. Other countries are also facing a similar crisis. In the agrarian districts of Malaysia, rising temperatures and below normal rainfall have affected paddy, vegetable and rubber production. Seven of 41 dams in the country have recorded water levels of less than 50 per cent. The severe heat waves have forced the government to resort to frequent cloud seeding. The Mekong Delta in Vietnam is facing its worst drought in 90 years. This, along with rising sea levels and rampant development, are causing havoc in the "Rice Bowl of the Country". A report on the drought, released by the United Nations in April, estimated that about 137,593 hectares of crops in this delta have been affected by varying degrees of productivity loss, while 25,900 ha wasn’t even planted. Two million people are suffering from the lack of water for daily consumption. The salt-water intrusion in fields is getting worse. In the African continent, Lesotho, Malawi, Mozambique, Swaziland and Zimbabwe in southern Africa have declared national drought disasters. Further north, Ethiopia has been affected the most in terms of food security and the country’s political instability has only made matters worse. It has been estimated that 36 million people are threatened by hunger across that part of the continent. The history of Syria with respect to drought and its current political and social turmoil are further evidence that finance for agriculture needs immediate attention. Meanwhile, at the World Trade Organization (WTO), negotiations on The Agreement on Agriculture, the first comprehensive treaty with rules relating to agriculture and signed under the Uruguay Round of Negotiations (1986-1994), have come to a crucial point after the last meeting in Nairobi in December 2015. The Doha Development Agenda (2001), which has not been completed, is being sidelined by the developed nations as they are aiming to move discussions towards inter-alia, the Trade Facilitation Agreement (TFA), investment, competition and transparency in government procurement. Developing nations are pushing for the completion of the Doha Round decisions for secure trade boundaries that will promote economic growth. In the face of climate change, developing nations need to secure their food stocks while developed nations see this as a threat to the goods they are exporting to these countries. The real challenge for developing countries is to achieve a consensus on the rules for Public Stockholding as a means of food security. The debate has reached a stale mate as the developed countries want to reduce the limits to which it should be allowed under the “Amber Box” (includes schemes that distort trade) while the developing nations propose that it should be moved to the “Green Box” (schemes that do not distort trade or do so minimally). Similarly, the talks on the Special Safeguard Mechanism (SSM) reached no conclusive results in Nairobi. The only decision made was to come up with a mechanism that would allow developing countries to temporarily increase tariffs on agriculture products in case of import surges or price declines. The problem here was that the SSM raises tariff rates above the commitment rates of countries which most developing countries don’t approve of. Given the track record of negotiations, it seems unlikely that the North (developed countries) will be able to rise above their profit-making trade deals and see the real concerns of the threatened South. However, the South is also unlikely to settle for anything less and the unity among the constituting countries will be a key determining factor in the 2017 meeting. A few global funding organisations have pledged and begun work worldwide with respect to Agriculture Adaptation for Climate Change. For example, The International Fund for Agriculture Development (IFAD) has currently established a fund for small-holder farmers (Adaptation for Small Holder Agriculture Program) with an investment of $366 million. It runs 36 projects in sub-Saharan Africa. Similarly, the Global Environment Facility (GEF) and Green Climate Fund (GCF) are also working towards gathering and allocation of acquired funds for agriculture. But the effort will have to be multiplied greatly in terms of funding and collaboration as the needs of today are not being met, leave alone the needs of a more vulnerable future. In a nutshell, the global scenario has become more sensitive to the rising need of combating climate change, but equity in terms of action and aid has seen no concrete output. Agriculture, especially in developing nations, is a sector that will need financial and technological help. In the light of the current negotiations at WTO and Bonn Climate Change Conference, the future of adaptation in agriculture looks grim.